This was a totally unnecessary purchase but I'd seen Baby Judy on a few people's Twitters and I fell in love with her! Apart from Tsum Tsums I try not to collect too many soft toys but I couldn't resist this one. 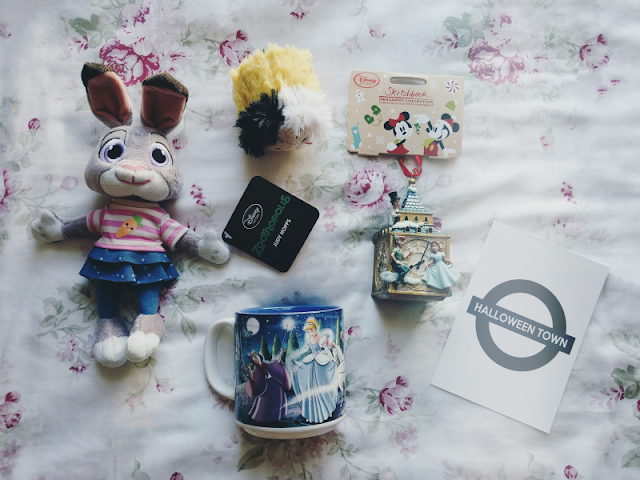 This was only £1 so it was a total bargain! I didn't actually have an animated Cinderella mug before this so this was a great find! How amazing are these underground prints by Lizi?! 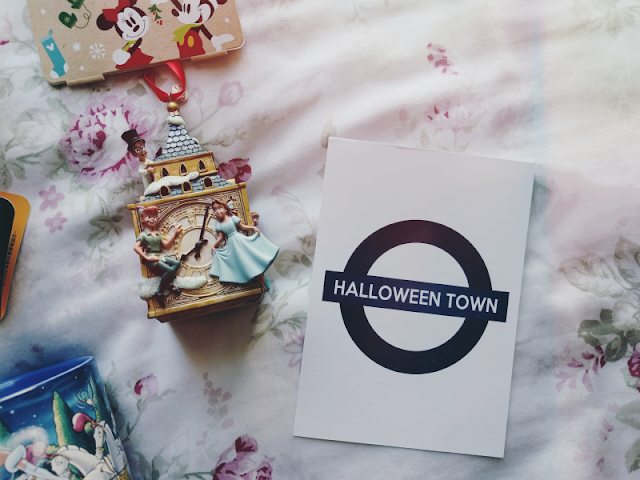 I'd been meaning to order some for a while and when I saw she was doing a Halloween Town print, I ordered as soon as I had the money! If you're looking for some inexpensive but completely lovely Disney art prints, you need to check out her shop! This is honestly one of the loveliest Christmas decorations I've seen from the Disney Store! I'm not the biggest Peter Pan fan but the design on this is so sweet. I was a bit worried about the quality of the painting before I received it but luckily it's all been done really well, with the exception of Peter's eyes which are crossed! I'll just have to pretend that he's pulling a face, haha! Unfortunately I missed out on the Villains Tsum Tsum collection as they were released while I was in Hong Kong so I had to add Cruella onto my order when I saw she was still in stock. Her little fur coat is so adorable! As I've mentioned before on my blog, I'm obsessed with K-Pop and when we came across a Nature Republic whilst wondering the streets in Hong Kong, I had to go in as I had heard of them from their collaberation with EXO and I was curious to see what their products were like. I ended up buying quite a lot and the lady at the checkout kindly gave me some of these cleansing tissues as a sample. 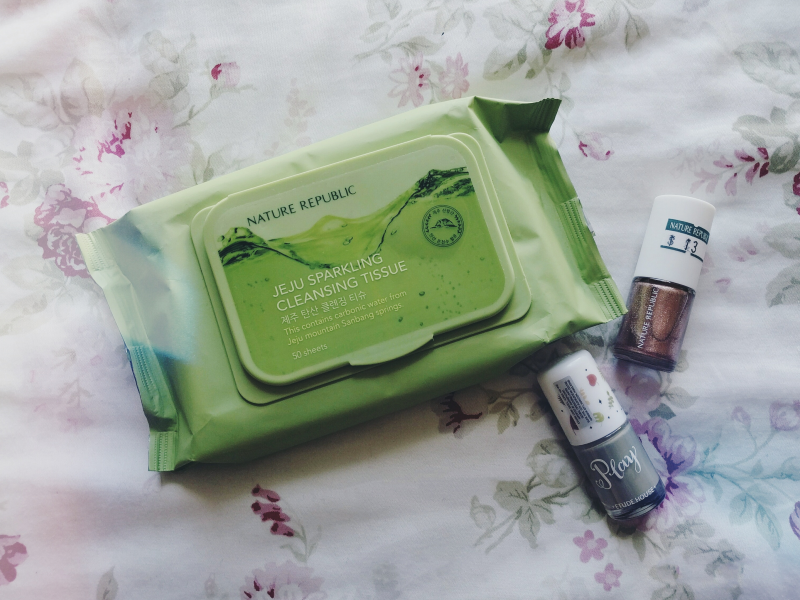 I tried them out on the plane thinking they'd just be like normal wet wipes but my face has never felt cleaner! As soon as I got home I ordered two packs off eBay and I've been using them after a face mask to give my skin a really good refresh. I can definitely see these becoming a staple beauty product for me! As I've got a bit of an addiction to buying nail polish (I have over 100 bottles...) it was inevitable that I was going to leave Hong Kong with at least one new bottle! 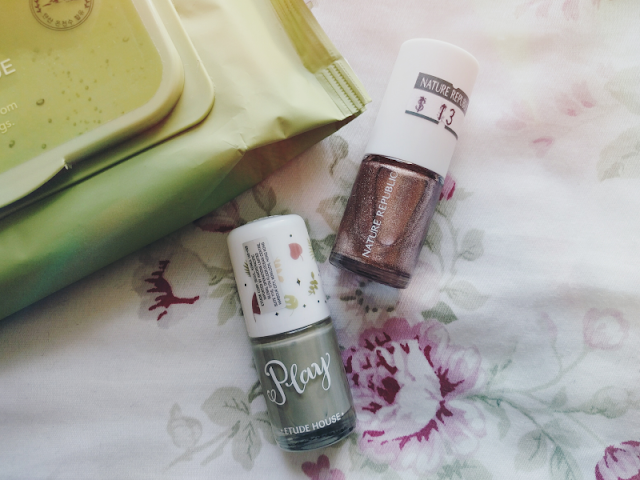 I tried these two out when I got home and they look so pretty on! The application is also really great on them which is amazing considering they were the equivalent of about £1 - £2 each! Hope you all had a lovely September! The baby Judy toy is too cute! I wouldn't have been able to resist her either. 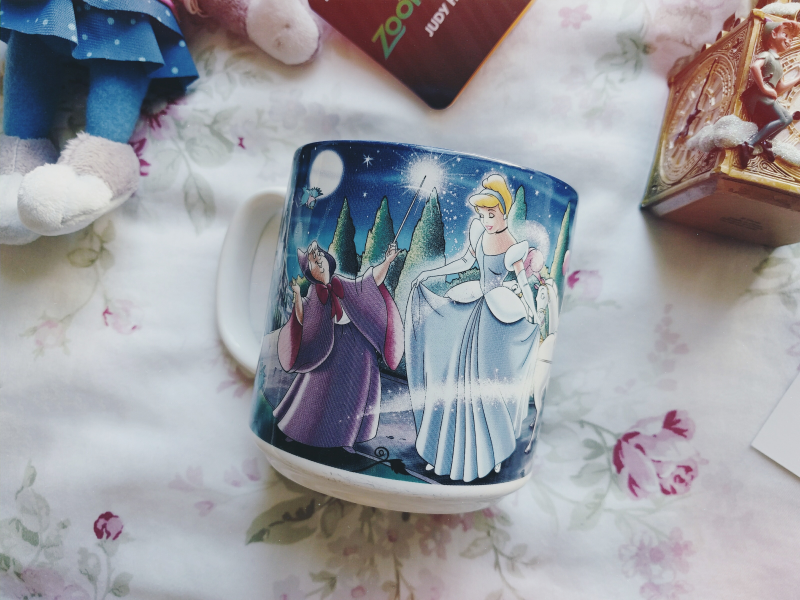 The Peter Pan decoration is just gorgeous too!